According to Ryan Werlich of RainDeck, residential splash pads have been steadily gaining popularity for the past few years. 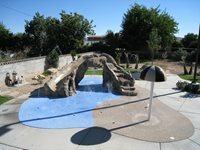 If you want to save money, don’t have the space for a pool, or are looking for a safe way to stay cool, a splash pad is for you. Similar to the feeling Tarzan gets when swinging through the trees, you’ll feel alive and invigorated after showering outdoors. Bathing in the Oborain outdoor shower is an exhilarating experience that will have you giving into the urge to pound your chest with your fists and let out a primal call. In today’s world everyone wants speed and convenience along with beauty and quality. As a result we’ve seen a slew of high-end prefab products that take little effort to construct or install. There are prefabricated cabinets, furniture and even entire homes that please even the most design savvy consumer. But most people wouldn’t place spas into this category. With the exception of a few, cover bands rarely make it to the big stage. Instead, you find them playing weddings, singing in bars or, if they're lucky, putting on an act in Vegas. It takes a lot of originality to send a covered song to the top of the charts. Playing in a cover band is often the first step for an amateur musician on what they hope is the road to stardom. Stainless steel has many uses - kitchen appliances, water bottles, jewelry, waste baskets - the list goes on and on. It has also been used in architecture, notably, the Gateway Arch in St. Louis. So why not use it to create custom spas? 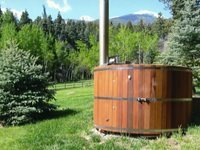 Cedar hot tubs are experiencing a popularity revival. Learn about the benefits of cedar tubs and why they are perfect for hippies. 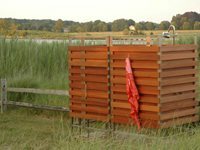 These prefabricated outdoor shower enclosures provide privacy for bathing in your backyard. Available in cedar or vinyl and in four different layouts, you are sure to find one that suits your needs. 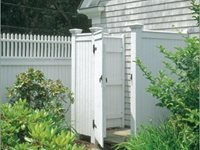 Plus, the enclosure can be customized with paint, lattice work, towel racks and more. These unique, design conscious, hot tubs offer calming and restorative waters, as well as "a dedicated social space that brings people together and fits within your outdoor composition." 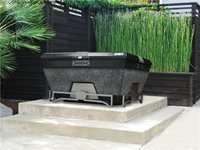 Inspired by the canyons of the Southwest, Elemental hot tubs have a refined shape and are available in a variety of textures and colors. They will complement an outdoor space rather than detract from it, as many traditional hot tubs do. Operating the Elemental system is simple and intuitive and requires minimal management.